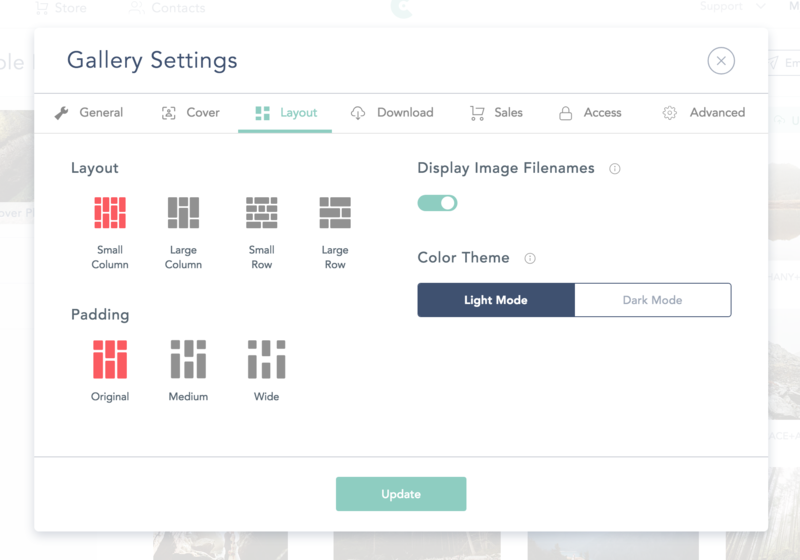 Have your photos displayed more clearly by customizing the Gallery Layout and Gallery Padding for each Gallery! To adjust your Gallery Layout and Gallery Padding settings, visit your Gallery settings by clicking on your collection and clicking on “Galleries”. 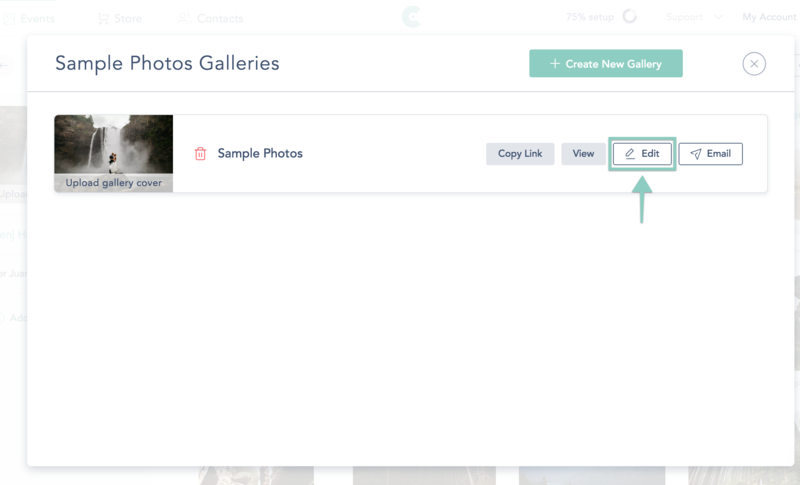 Click on "Update" or "Publish" when you're done, and your gallery will automatically be updated, and you don’t need to create or resend the gallery link!